A truely spectacular retrospective of the legendary Wiesbaden based party-band die Kueche. A journey from planet Lo-Fi to planet Farfisa and back again - including incredible Zappa and Elvis cover versions. "Grosses Tennis" is the long-awaited compilation of Kueche-classics, rare and unheard tracks and pure organ-weirdness. Expect nothing but the finest in adult entertainment! 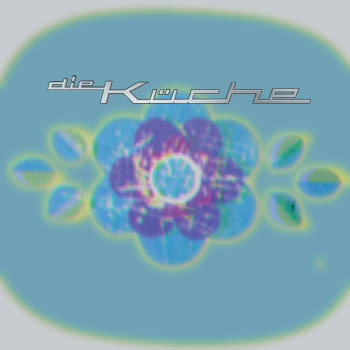 The famous 6-track debut single from 1997.
die Kueche was active from 1995-2005.